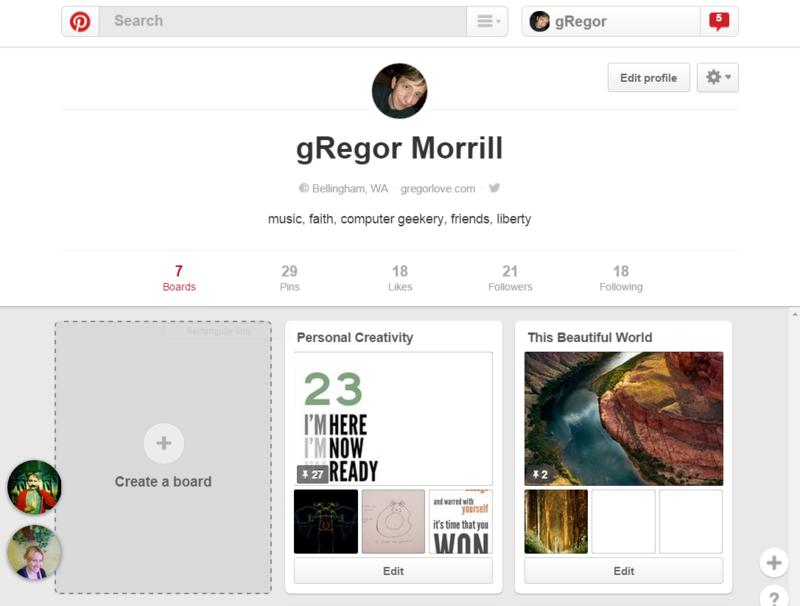 Pinterest is a visual bookmark hosting silo where users "pin" (bookmark), or "repin" (repost a bookmark of) a page with a specific image from that page to a "pinboard" (named bookmark collection) and follow other users and/or pinboards created by others. Displays a list of your pinboards with thumbnails of some pins on that board. 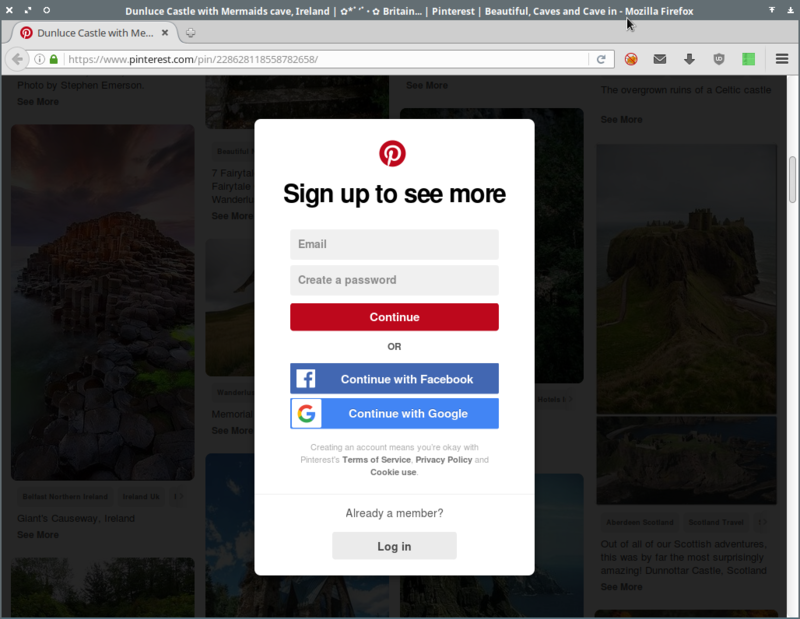 Pinterest pulls up a full-page overlay that enforces you to either sign up or prevents viewing more of the board contents. While the amp of a direct pin address highlights the main image, the normal, non-amp HTML doesn't, yet, this information is available in open graph meta, twitter meta, and in ld-json format for bots.